Offering you a complete choice of products which include pulsar 220, pulsar 180, pulsar 135 and pulsar 150. Pulsar 220 is a stylish, good looking and aerodynamic motorcycle having ultra-stylish LED tail lamp, sporty split seats and split rear grab rails. 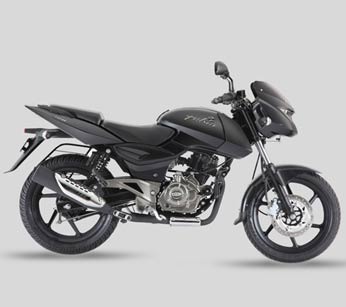 It bears several elements like front and rear disc brakes, broad rear tyre, front and rear tubeless tyres and strengthened 5 spoke alloy wheels which leads to improvisation in the amount of power and performance Pulsar 220 can handle. 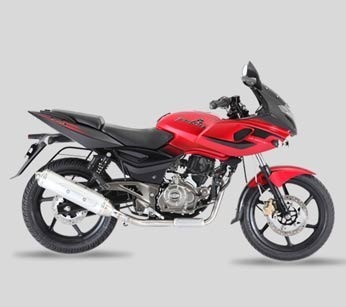 Pulsar 180 has a 4 stoke, 180cc, DTS-I engine which is designed to propagate that bonus wave of power. Having split seats, Pulsar 180 is comfortable for rider and pillion both. Behold the beast with the looks to die for. It comes with a large, ventilated 240 mm front disc brake, a broader 120/80x17”rear tyre, front and rear tubeless tyres which ensures safety. Pulsar 135 is designed with World’s finest 4 valve DTS-I engines, which offers high amount of power. It is a perfect bike for city as it provides great riding comfort even in case of traffic. Designed in 240mm ventilated front disc brake, Pulsar 135 helps riding in start-stop city traffic. 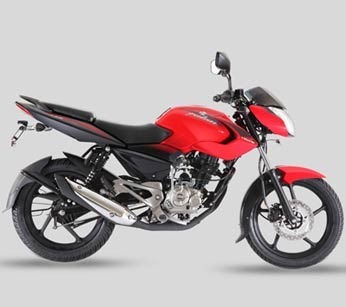 Pulsar 150 has been designed keeping in mind the comfort for the rider with its upright seating position, smooth suspension and 17” alloy wheels. It offers supreme performance amongst bikes in its class. Headed by aggressive wolf eyed headlamp twin pilot lamps, makes Pulsar 150 unique in its style and looks.